CEDAR FALLS — Elsie A. Anders, 101, of Cedar Falls Lutheran Home, died there Saturday, Sept. 18. 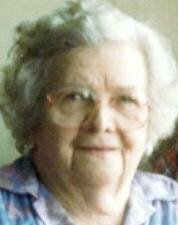 She was born Jan. 15, 1909, in Alden, daughter of Fred and Barbara Fuehr Kniewaser. She married Walter A. Anders on Jan. 18, 1928, in Hampton. He died Jan. 4, 1993. Mrs. Anders and her husband farmed near Alden, retiring in 1958. She then was activities director at Cedar Falls Lutheran Home for 10 years. Survived by: a son, Marion (Laurie) of Pittsford, N.Y.; five grandchildren; seven great-grandchildren; and four great-great-grandchildren. Preceded in death by: a daughter, Joann Thompson; a granddaughter; four sisters, Anna Jass, Emma Silke, Edna Haupt and Margaret Thelke; and two brothers, Fred and Robert Kniewaser. Services: 10 a.m. Wednesday at Cedar Falls Lutheran Home Chapel, with burial in Fairview Cemetery. Public visitation from 4 to 7 p.m. Tuesday at Richardson Funeral Home, and for an hour before services Wednesday at the Lutheran Home. Memorials: may be directed to Cedar Valley Hospice.